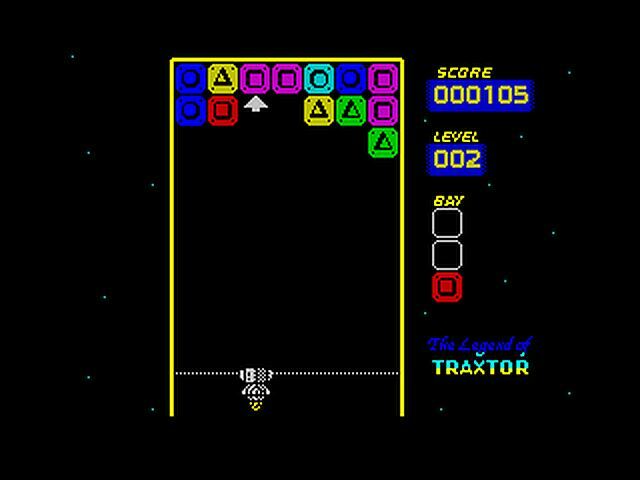 Owners of the great 8-bit system the ZX Spectrum may want to check out the latest match 3 game "The Legend of Traxtor" by reidrac. 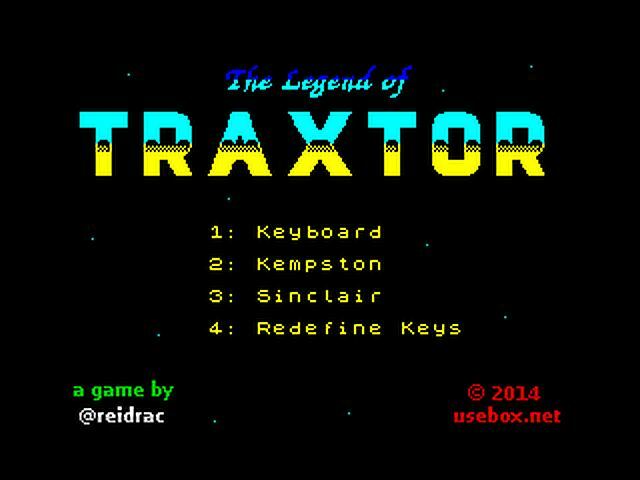 Recently appearing as a #gbjam 3 entry and now ported over to the ZX Spectrum, has you tasked with the matching of 3 coloured shapes and objects to obtain a high score. Gamers who remember titles such as Tetris will find this latest release both fun to play and an ever increasing challenge.